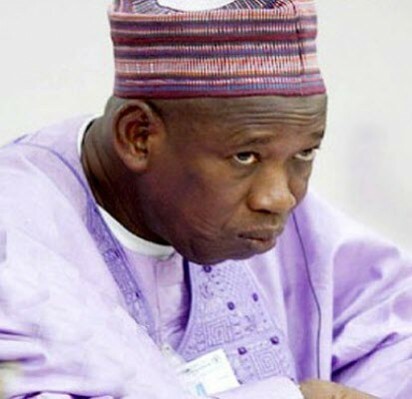 The Kano state Police Command has warned the National Union of Nigerian Students (NUNS) to desist from its plan of staging a protest march on the 29th of October to call on the Kano state Governor Dr. Abdullahi Ganduje to resign to allow for complete investigation into the allegation of receiving bribe from contractors labeled against him in some video clips released by an online news publisher Jafar Jafar, or face the wrath of the Command. The Kano Police Public Relations Officer (PPRO), SP Magaji Musa Majiya confirmed to Vanguard that the students union led by Comrade Isah Abubakar wrote a letter to the state Police Commissioner informing the command of their plan to stage the protest. “Today Tuesday 16 October 2018, a group called the National Union of Nigerian Students has written a letter to the office of the Commissioner of Police seeking permission to stage a protest march on the 29th of this month at about 10:00am from Zoo road to the Government House to call on His Excellency the Kano state governor Dr. Abdullahi Umar Ganduje to resign and allow for full investigation into the allegation of collecting bribe on him” he said. The police thereby issued a warning and a call to the group to desist from its plan as the police will not accept what it termed as illegal protest and the breakdown of law and order. The PPRO further explained to Vanguard that Kano is known for political thugs who might try to disrupt the protest and create chaos in the metropolis adding that it is not in the interest of anybody to politicize the issue of the video clips. However, the Police Command advised that anybody with any kind of grievance or advice on the matter should take it before the committee set up by the State House of Assembly to investigate the alleged bribery. The PPRO also warned that whosoever comes out on protest refusing to heed this advice, the command along with other security forces will clampdown on them, arrest them and take them to court for prosecution accordingly.